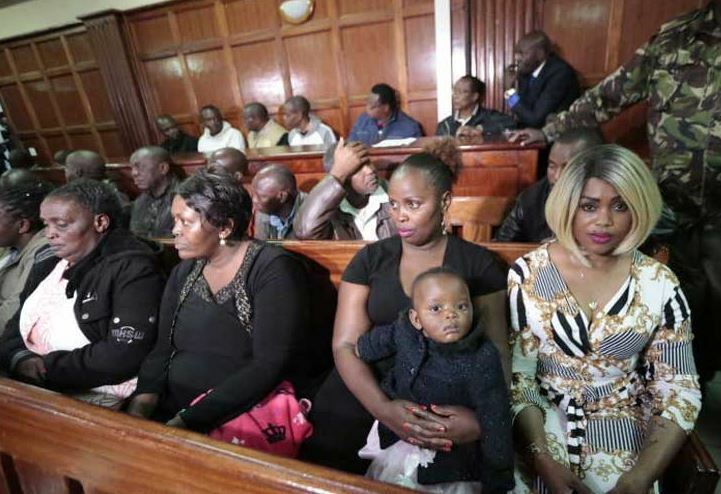 The Assets Recovery Agency wants the court to issue an order declaring motor vehicles and properties held by the Ngirita family as proceeds of crime. The agency moved to Court M0nday seeking to have properties of Phyllis Ngirita, Lucy Ngirita and Jeremiah Ngirita, as well as Platinum Credit Limited and Opportunity International-Wedco Limited, forfeited to the government. According to ARA, preliminary investigations established that the three family members — key suspects in the National Youth Service (NYS) scandal —received huge amounts of money through their respective entities and personal accounts. “Upon investigating the bank statements and documents concerning the accounts, the agency established that the three and their business entities and associates received funds fraudulently from NYS split in several transactions,” stated ARA in an affidavit. Phyllis Ngirita is said to have received Ksh57 million in her personal account held at Kenya Commercial Bank (KCB) while Ngiwaco Enterprises, reportedly owned by Lucy, received Ksh109 million through their account in the same bank. “Investigations revealed that Phyllis was paid by NYS directly to her personal account contrary to procedure. This is a clear case of fraud as there is no evidence of goods or services procured by NYS directly from Phyllis,” argued ARA. Judge John Onyiego directed that the application be served to the Ngirita’s within 14 days during which they should file their responses. The case will be mentioned on April 15, 2019.